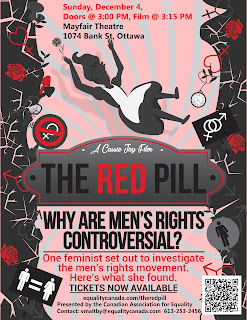 UPDATE 1: The Mayfair Theatre caved-in to pressure from feminists and cancelled the screening. 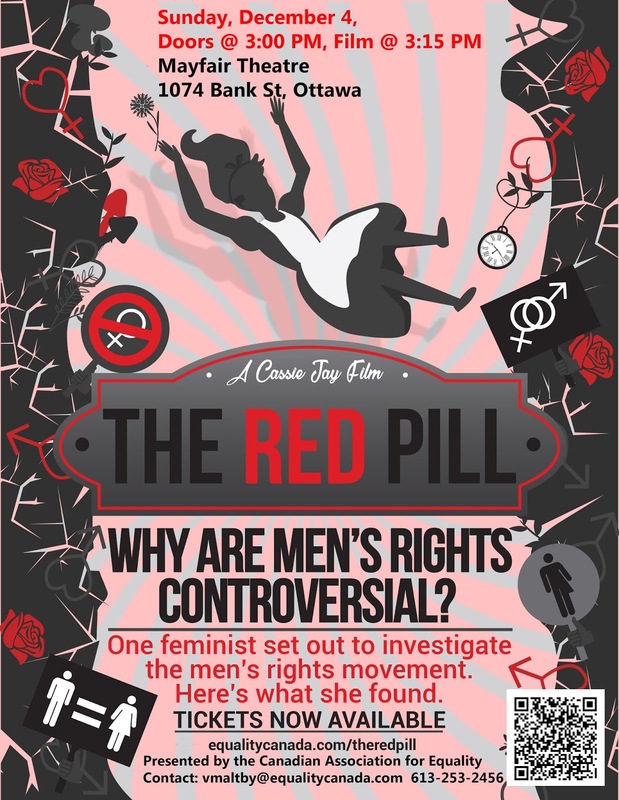 The Ottawa branch of the Canadian Association For Equality is hosting a screening of Cassie Jaye's The Red Pill in Ottawa on Sunday December 4, 2016. It is showing at the Mayfair theater at 3:00 PM and I've been asked to participate in a Q&A since some of my footage is used in the film. Don't miss it!